Luxury vehicles are very expensive, so you want to keep them protected from any and all danger. Saving your car from unnecessary damage is easy with lane keep assist. 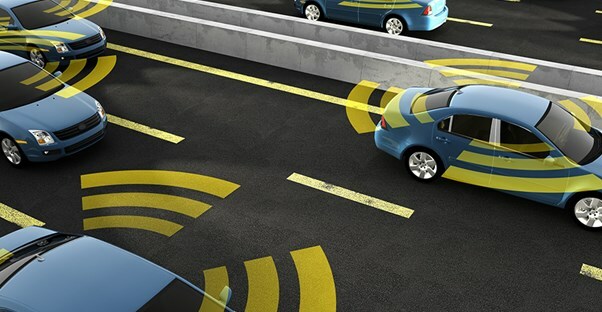 This feature keeps your car in the lines and sometimes warns you when another vehicle is drifting onto your side of the road. These models have lane keep assist and plenty of other features to protect your investment. The 2017 Buick Verano is a deluxe car that has a low starting MSRP of $21,065. It comes with a lane departure warning that provides audio and visual alerts to tell you that your vehicle has drifted out of your lines without having activated a turning signal. On top of that, it also comes with 4G Wi-Fi, parking assist, and rear cross traffic alerts. The Verano gets 21 mpg in the city and 31 mpg on the highway for fuel economy. Lexus has long been one of the top luxury car manufacturers on the market, and the Lexus ES is no exception. This sedan starts with an MSRP of $38,900 and gets 40 mpg in the city and 39 mpg on the highway. Like the Verano, it has lane departure alerts where you’ll hear a system that warns you after you’ve drifted from your lane. Additionally, the Lexus ES will move you back into your lane to avoid an accident. Some of the other features include a pre-collision system with pedestrian detection, remote start engine, voice command, and an integrated navigation system. The Cadillac Escalade has been the ride of choice for many celebrities, and there’s a reason why. Along with lane departure warnings and assist that keeps you in your lane, your seat will also pulse when you are around hazards. It also comes with a complete surround vision so you can park your Escalade easily. Some other features include an advanced anti-theft system, keyless access with push-button start, and a head-up display directly on your windshield. This Cadillac gets 15 mpg in the city and 22 mpg on the highway and starts at an MSRP of $72,970. Acura hasn’t always been the first brand you think of when you hear “luxury,” but the Acura ILX is about to change that. It comes with keyless access, a multi-use on-demand display, automatic climate control, and adaptive cruise control. Additionally, the lane keeping assist system uses a forward-facing camera to keep your sedan centered in its lane. Drifting to the side will cause the vehicle to pull gently toward the middle of the lane before you steer away from your side of the road. It also comes with a blind spot information system that warns you while going over 20 mph if there is another vehicle in your blind spots. It gets 25 mpg in the city and 36 mpg on the highway and starts at an MSRP of $27,990. Hyundai is another manufacturer that’s moving into the luxury category with the Genesis. This sedan has a smart hands-free trunk with auto open, integrated navigation, rain-sensing wipers, and gets 18 mpg in the city with 29 mpg on the highway. The 3.8 tech package gives you several protective features such as lane departure warnings, lane keep assist, smart cruise control, automatic emergency braking, and more. The starting MSRP of the Hyundai Genesis is $38,750 and the tech package is $3,500.